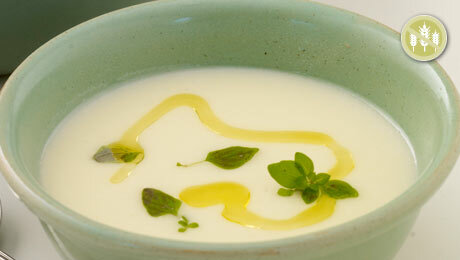 Let this soup warm you through, add some crème fraîche or cream to make it extra special. Peel and roughly chop the parsnip and onion and place in a large saucepan over a medium heat with a drizzle of olive oil and some butter. Add the curry paste and some fresh herbs, then using a wooden spoon mix the vegetables. Pour in the coconut milk and some water (800ml) and bring the vegetables to a boil then reduce the heat and allow to simmer until all the vegetables are softened. Add the additional liquid gradually until you reach the desired consistency, blitz and return to the heat. Serve immediately with a little cream garnish if desired. Check Coeliac Society of Ireland Food List for gluten free brands.